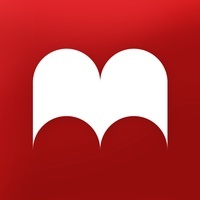 Madefire delivers the most innovative mobile and tablet app with its rich catalogue of new digital comics and Motion Books the flagship reading experience with added interactivity, sound and motion. 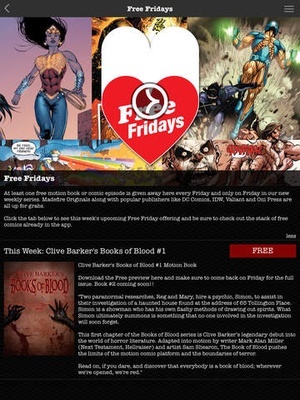 Weekly specials include free comics every Friday and featured dayanddate releases for new comics every Wednesday. 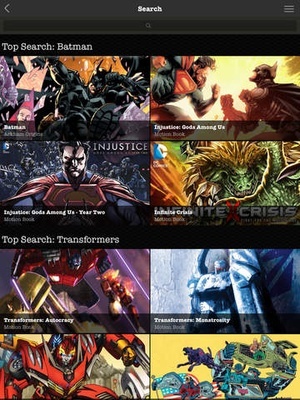 “Groundbreaking” Today “You should check this out” “The next big thing in digital comics” Wired “Unlike some other reading apps, using Madefire was intuitive” TechCrunch Experience your favorite superheroes Batman, Superman and the entire Universe, Hellboy, Star Trek, My Little Pony and Transformers like never before. 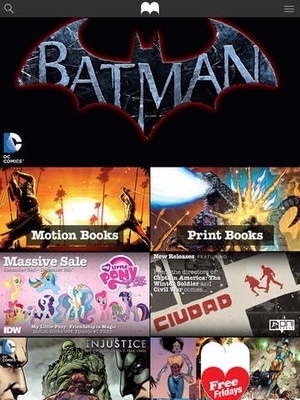 With top publishers like Comics, Dark Horse, Oni Press, Liquid, Valiant and Top Cow adding to the Print and Motion Book library, your favorite classics as well as new dayanddate releases are available now and updated weekly. Browse hundreds of new print comic titles from toptier publishers in our new Print Books storefront where we feature famous comics released sameday... all available for direct InApp Purchases. Choose your own destiny in our exclusive release with Comics, Batman Arkham Origins. 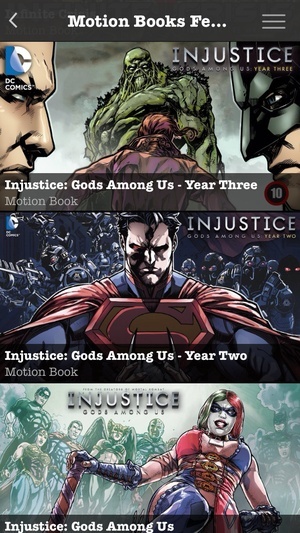 The firstofits kind Motion Book is a prequel to the Batman Arkham Origins video game where multiple story paths unfold multiple outcomes as you choose Batman’s course of action. 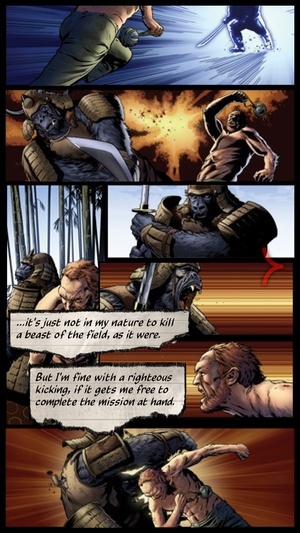 All new characters and stories are available exclusively on Madefire with the download of the free app. What have been coined “myths of the 21st century”, these featured original titles from Madefire have been forged by comic book legends including Stan Lee, Dave Gibbons, Bill Sienkiewicz, Mike Carey, Clive Barker and Liam Sharp. Immerse yourself in a new space; 360 panoramic views, music, sound effects and motion transport you deep into story worlds. You control the pace at which stories unfold onscreen. 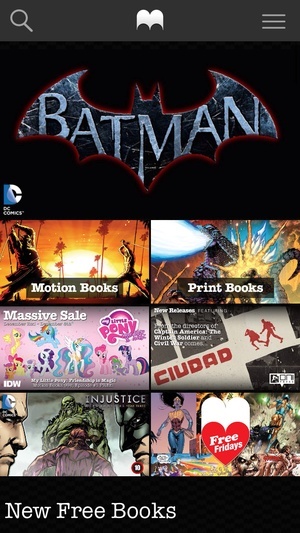 WebPartner deviantArt is the world’s largest creative community and home of the exclusive Motion Books category. Now featured in the app is a channel dedicated to the "deviants" full of new characters and stories from the indie community. 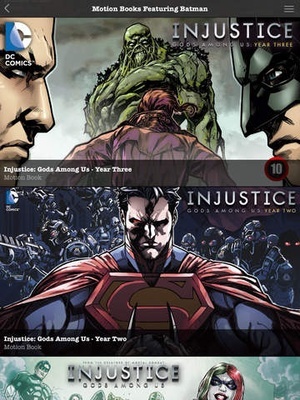 Madefire and its catalogue of Print Comics and Motion Books currently feature a wide selection of comics, popular day and date releases, horror comics, kids comics and many more with the catalogue growing by the week. Regardless what you are in to there is something for you! 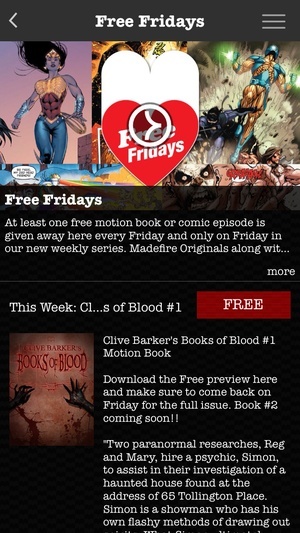 Download the free app and find out why it’s not just reading it’s the future of digital storytelling on Madefire. We welcome your input and suggestions on how we can improve Accessibility and overall support in Madefire. Email us as support@madefire.com and we’ll be happy to hear from you. 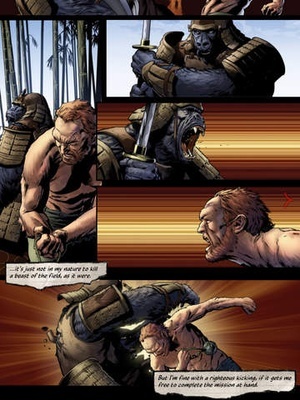 Check these links to find your download for Madefire Comics & Motion Books for & iOS or for your device iPod TouchiPadiPhone. 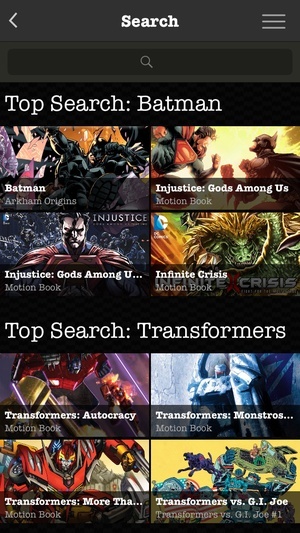 The app Madefire Comics & Motion Books is compatible with te following devices.